Wedding Photography and DJ/Emcee specialists with over 25 years experience. Directed by British Los Angeles Photographer and Radio DJ Michael Quarterman. We proudly offer personalised Wedding Photography, Los Angeles DJ & Emcee services. Photos can be available to view online, and on CD. Personalized and outstanding Photography with flexible, customized packages. High quality and dedicated service for a great price. The best Los Angeles Wedding Photographer and The most entertaining Los Angeles Wedding DJ Available, at no extra charge for British accent or quality. Generous discounts on combination packages, or put together your own custom package from our al-a-cart menu. We love Weddings and Events in Los Angeles, so we make it our goal to make your vision of the best Los Angeles Wedding or Event, come true! You, your family, and guests will enjoy and benefit from our decades of experience. 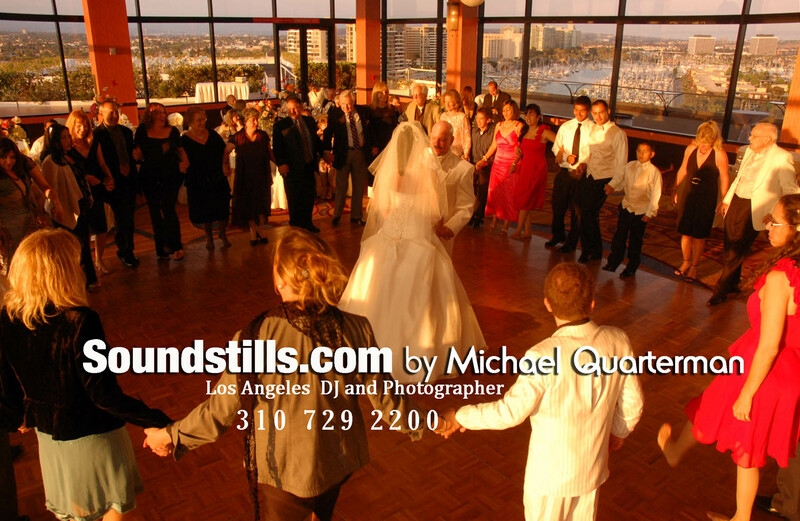 Only at Soundstills can you find a genuine British Los Angeles Wedding Photographer or DJ dedicated to YOU. Michael is a Wedding and Events specialist, who will add class, mood, and humour to your perfect day. With over twenty five years experience in Wedding Photography, and as a Wedding Emcee, he is an expert coordinator and party planner. Thus ensuring your Wedding flows smoothly from "Here comes the Bride" to the "Last Dance."